and just like that, september is over. i can hardly believe it myself. 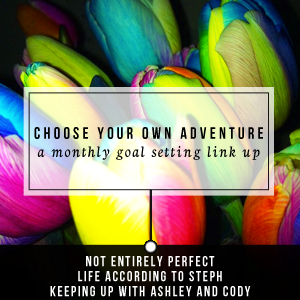 and with the end of the month comes the first choose your own adventure link up! did you participate in september? the theme was fitness, but all goal setting/recapping posts are welcome here. regardless, i'm glad the first month was successful and i'm glad i made it easier on myself. there was so much unpacking to be done, plus 2 weddings and various parties, it was just a really busy month. so how did you fare? link up below! for october, the challenge theme is food! which of course, isn't limited to just cooking. 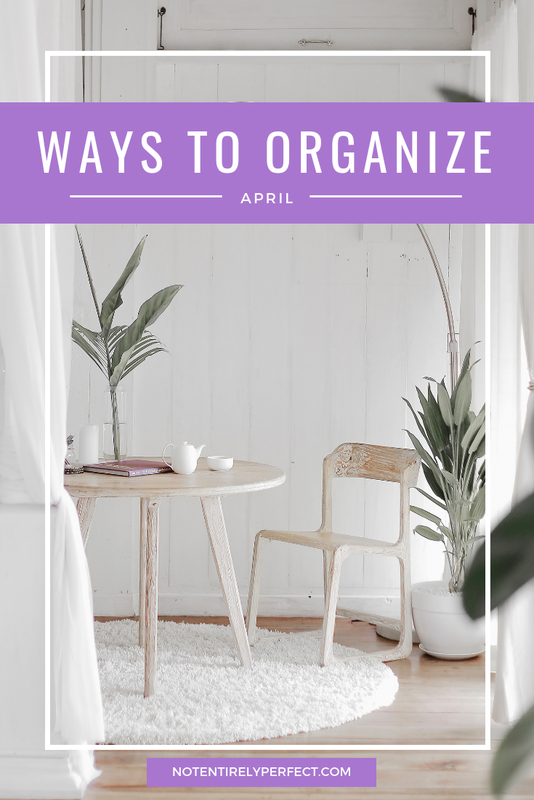 you're certainly welcome to test out a new pinterest recipe or make something with pumpkin, but it could also include trying a new restaurant or trimming your grocery spending. even planning your menu for thanksgiving (yeah, that's next month!) see? lots of options, even if you aren't a cook! 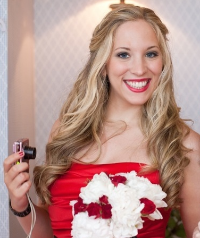 (1) one of my co-hosts of this link-up, steph, is hosting a 'wallet watch'. essentially, you make your own spending rules. in line with that and with the food theme, i'm going to limit my grocery spending and clear out the cabinets (how i managed to get 10+ various cans of soup, i will never know.) i went shopping tuesday with john and spent $37 at aldi, and that's it for the month. (2) and to not supplement that with ordering in and/or eating out. the point is to clear the stockpile in the cabinets and freezer, not to avoid the grocery store and definitely not to waste money on eating out all the time! this will be hard for me, i love being able to order in exactly what i'm feeling like at that time. perks of being in a big city where everything is available whenever you want it. (3) make a fall drink. i don't know what yet, exactly, but we're going out for halloween and i always bring my own booze. i want to find something festive. Total increase in activity for you. That's great! I do the stairs in and out of the train station every day, a zillion of them it feels like some days. Stairs are hard and you have a lot to contend with! Clearing out the pantry/stock is a great goal. I screwed myself out of that by choosing make a new recipe in each category as my goal. I don't care how in shape anyone is...steps are HARD! I sucked this month! I actually worked out less than normal due to life getting in the way :( Glad you were able to stick to your goals! Those stairs really do add up. My town doesn't have nearly many great takeout places so ordering in never works for me. That will be a hard one, but you can do it!! yeah stairs will kill me. i need to walk more stairs. Ugh, how did I forget to participate in this? I'm an a-hole. I totally applaud you for all the waking around and stair, lady! When you live in a big city where hailing a taxi is so easy, I know how hard it is to not do it. I WILL WILL WILL participate next week!! That is SO MANY STAIRS!! Loved the challenge for September and looking forward to October! Thanks for hosting! You go girl, that's an assload of stairs! THAT IS SO MANY STAIRS!